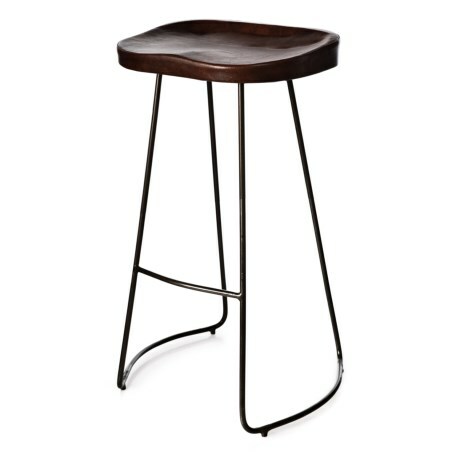 Brown Barstool with Metal Base - 18x16x29? CLOSEOUTS. Impress your guests at your home cocktail bar with this brown barstool with metal base, crafted with a contoured wooden seat with a handsome faux-leather cover Available Colors: BROWN.